We are pleased to inform you that our Hidden Gem stock of June 2015 - Visaka Industries Ltd (BSE Code: 509055, NSE Code: VISAKAIND) which was released on 05th July'15 is a 4-Bagger stock for our Hidden Gems members who invested in it 2 years back. Our team suggested Buy on Visaka Industries Ltd at price of Rs. 128.15 on 05 July 2015 with a target price of Rs. 240. 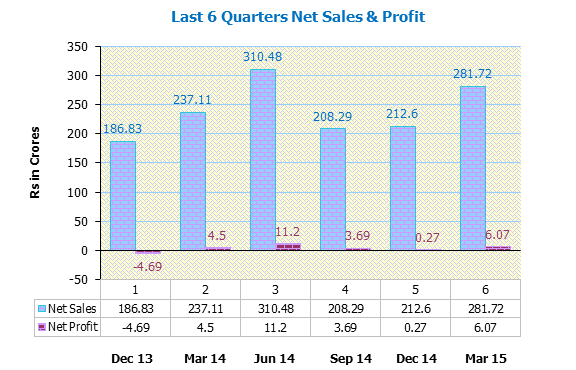 Stock has already achieved its target price and we informed our members to continue to hold it. Moreover, we informed our Hidden Gems and Wealth-Builder members to add the stock again at higher levels few months back. Visaka Industries stock has recently made its 52 week high of Rs. 569.70 on NSE and closed at Rs. 528.20 today giving absolute returns of 312% to our Hidden Gems members in period of 2 years. Visaka Industries stock has rallied by 120% over last 4 months mainly on account of improved fundamentals and strong growth forecast in coming years. The new business of the company, fiber cement boards is doing extremely well. 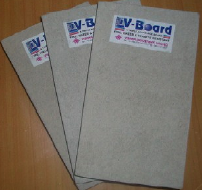 The company offers its fiber cement board range under V-Next products (V-Board, V-Designer Board, V-Plank, V-Premium, V-Panel) which are gaining good acceptance. The strong portfolio of advantages makes the products widely endorsed and appreciated by arhitects and customers worldwide, many of them are replacing plywood which s a 20,000 crore industry. This provides a great long term opportunity to the company which is a pioneer in this segment. Moreover, value investors like Dolly Khanna and Anil Kumar Goel have also invested in Visaka Industries over last 12 months. Both of them have accumulated Visaka Industries in huge quantity. As mentioned in the annual report of the company, Dolly Khanna holding in Visaka Industries stands at 1,15,968 shares where as Anil Kumar Goel shareholding is higher at 2,20,000 shares (as of Mar'17). At current market price of 528, their investments is valued at whopping Rs. 6.12 crores and 11.62 crores respectively.